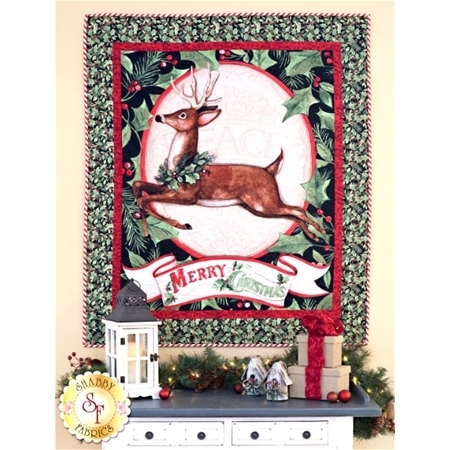 Wish everyone who visits your home a very Merry Christmas with the Woodland Deer Wall Hanging! 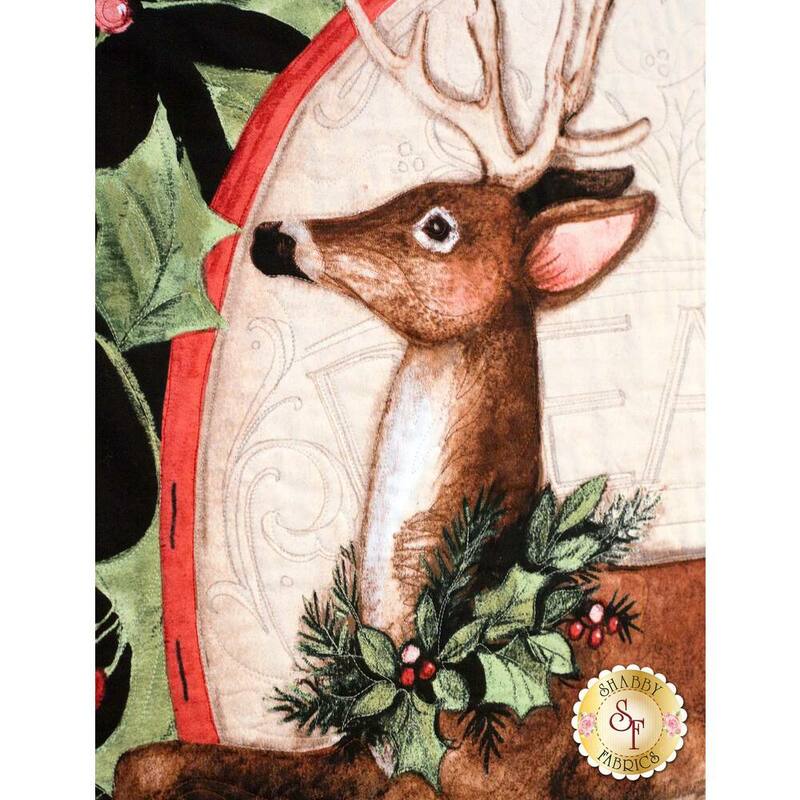 This beautifully illustrated wall hanging features an elegant leaping reindeer panel with a Merry Christmas banner along the bottom, making it an easy and festive way to add a seasonal touch to your home decor! Wall Hanging finishes to approximately 43½" x 51". Requires 3 yards of backing fabric. 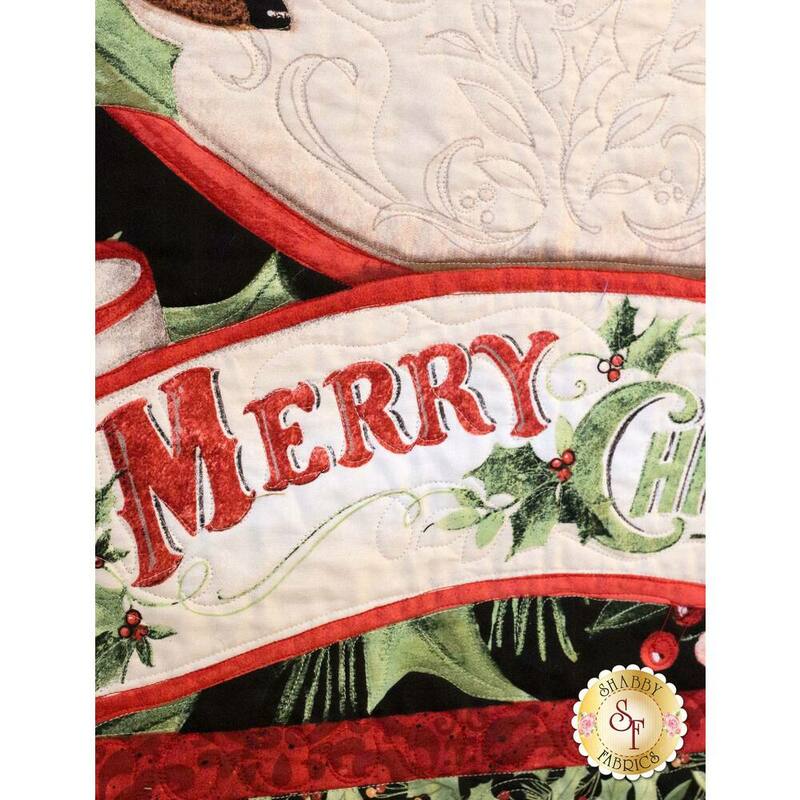 Shop our Christmas Shoppe for your perfect backing fabric!